Black Media Entrepreneur Says The Movie "Girls Trip" is a Hit Because Women Need a Break! The current box office movie, "Girls Trip" has resonated with millions African-American women across the nation. "Yes, girls just want to have fun - but the underlying message is we just need to relax, chill and make ourselves a priority," said Ola Jackson, publisher of Onyx Woman magazine. 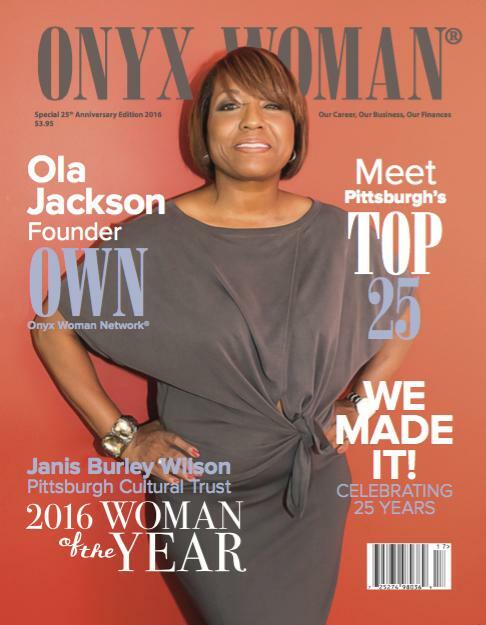 After 26 years of operating a communications business where she created a local 8-page professional development newsletter that later blossomed into a full-blown nationally distributed business magazine called Onyx Woman, Jackson put her hard copy edition to rest to focus on a new mission. She is now helping women by educating them on the need for self-care. Jackson assisted hundreds of women over the years through her business workshops, seminars and sell-out conferences but she saw some disturbing patterns - many women were "overwhelmed, over worked and simply over it." During some soul searching and talking to several women from all walks of life, she realized that so many women needed to be inspired to engage in self-care practices. Her own personal experience while becoming a caregiver to her 80-year-old mother and raising a son with Autism, gave her a revelation that she needed to make self-care the mission of her next life's chapter. "I wanted to engage women and get our girlfriend conversations back that had been lost because many women were just so stressed and busy," she said. So, she reached back to re-hash her degree in fashion merchandising and her diverse experience in retailing and started a fashion blog called Your Stylish Ways (YSW) to share her talents of finding stylish, gently worn fashions for below retail prices. "I was looking over my Twitter and Instagram post and realized that, although I posted fashion content, most of photos were of me exercising, eating healthy meals and spending time relaxing and engaging in self-care activities." She also re-organized the business angle of YSW to be a life-style blog that infused self-care advice and tips to encourage women to combine their desire to dress stylishly, decorate stylishly and live stylishly with self-care practices. Jackson said: "YSW encourages women to not just live life, but to experience it as well by doing special things for themselves. We end most stories with self-care advice whether we are talking about decorating a room for a private get-away space, or planning a party to reconnect with friends." Jackson posted one of her first self-care stories on LinkedIn and was surprised to see that the first response when she suggested to women that they start each day by doing something for themselves by spending just 3-minutes on something, was a reader who commented, "One day I will have time for that." Jackson felt that the response was certainly a confirmation that women know they need and want to take time for self-care, but just didn't know what to do or how to do it. "Just as I started the journey 26 years ago to start my own business, when I realized that women in Pittsburgh needed a publication to enhance their business and professional development skills. I wanted more than just to believe they needed help, I was committed to doing something about it," she said. Through her blog www.yourstylishways.com, social media, television production and speaking engagements, Jackson is ready to tackle the task of spreading the word on self-care, while encouraging and showing women how to make it happen. "It is like de ja vue," Jackson said. "Back when I started my magazine, I saw a need and asked; how can I help? Then I went into action by making it happen. I remember a card that a friend gave me decades ago when I started my publication that read; 'Some people see a problem and talk about it... you see a challenge and you do something about it.' My plan is to do something about women making self-care a priority in their lives."